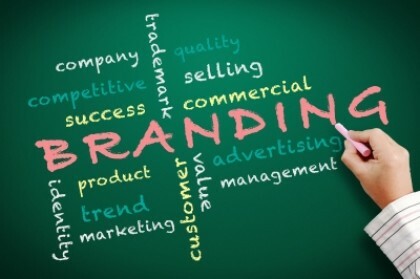 If you’ve ever taken a marketing class in college or you’ve thumbed through a business magazine, then you’ve probably heard that when it comes to running a successful company, it is vital that you make a concerted effort to brand it properly. That’s because branding is one of the best ways to show potential customers and clients what your business is about, what services you have to offer, and why it would be a good idea to give you more than just a first or second glance. Remember that your brand is a personality. As you’re working on developing your brand, it’s a good idea to remember that one’s personality, by very definition, is the embodiment of a collection of qualities. So, it’s a good idea to ask yourself “When people think of my company, what thoughts would I like them to immediately associate with it?” and then build from there. Create an interactive website. Gone are the websites that had three pages with nothing but copy. We live in a world that moves really quickly and wants to be instantly gratified as much as possible. It’s one thing to have an “About Us” page. It’s another thing entirely to create a video that actually shows people what a “day in the life” of your business is really like. As you create more and more videos, you can even start a subscription page on YouTube for people to join. Use social media (a lot). One of the best things to happen to both branding and marketing alike was social media. It’s cheap (free, actually), it’s easy and in general, it provides platforms where you can be “casual corporate” with your presentations. A Facebook business page can encourage “likers” to engage you one-on-one and Twitter followers can check out things like your quotes of the day or news links that directly relate to your company. Be creative and consistent. When you think of the golden arches, what immediately comes to mind? How about the yellow shell inside of the red circle or the big red K? As you’re figuring out the personality of your brand, make sure to be both creative and consistent. As people get used to associating a certain logo, color palate and slogan for your company, they will start to expect certain attributes to be associated with it. Stay user-friendly. You can develop a personality best by allowing people to interact with you and your staff. This doesn’t mean that you have to share deep details of your personal life or be available 24/7. It simply means that when people email questions or post comments that you engage them. When individuals feel like they are dealing with actual people and not just a corporation that makes them comfortable enough to not just use your services, but become return customers as well.